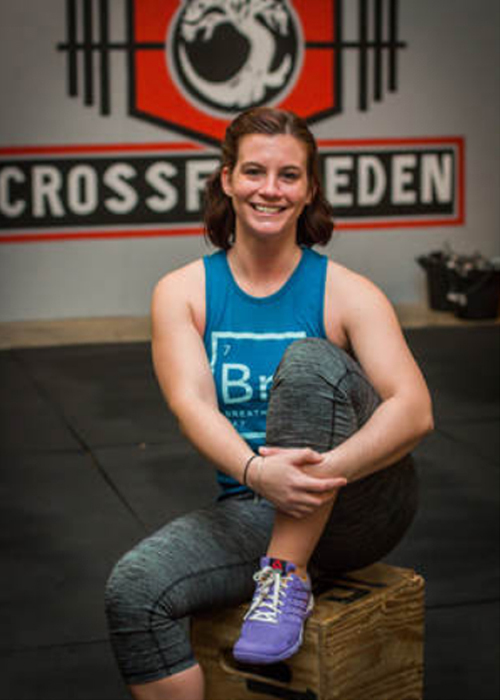 My name is Kim Doran and I am a Crossfit Level 1 Coach. I have been doing Crossfit for about 4 years and have been a coach for one of those years. I am currently a kindergarten teacher, but I have also taught 1st and 3rd grades. I will be going into my seventh year of teaching elementary school. I began doing Crossfit because I was tired of regular gyms; before joining Crossfit Eden I was going to Planet Fitness. The Crossfit community is incredible and I have found more success with Crossfit then I ever did at any other gym.